The SYNGENE world-leading technology includes a wide range of equipment for instant gel documentation, automated chemiluminescence imaging and TLC plate reading, which comply with current regulations specified by accreditation bodies and regulatory agencies. The GEL DOC systems are used globally by more than 75,000 scientists and you'll find them successfully contributing accurate data to important projects in many of the world's top pharmaceutical companies and major research institutes. ⇒ systems are predominantly manually driven but when used with GeneSys image capture software ensure that the systems are easy to use. DigiGenius is designed for those on a limited budget who require a gel imaging system offering a quick and easy way of capturing digital images from a range of media. The low budget InGenius3 gel imaging and analysis system is suitable for standard fluorescence applications. InGenius3 features a 3 million pixel camera. A compact, complete gel documentation (gel doc) system with integral processor and touch screen - a complete imaging system for your 1D needs. G:BOX Chemi XRQ with high resolution, cooled camera and application controlled GeneSys software for fluorescence and chemiluminescence applications. ⇒ intensity LEDs, producing brighter light and more uniform emission than conventional blue light sources. ⇒ 302nm UV back-illumination provides a highly sensitive method to detect double-stranded nucleic acids that have been labeled with fluorescent dyes such as ethidium bromide or acridine orange. more sensitive for nucleic acid visualization. Perfect for all blue light applications and optimised to work with 'safe dyes', these can be used for illumination of ethidium bromide (EtBr) stained DNA/RNA gels. ⇒ algorithm, Dymension instantly locates and analyses protein spots. With Dymension, the entire analysis process from background correction to spot matching results and reporting takes minutes, making this the fastest 2D gel analysis package currently available. ⇒ counting. GeneTools is supplied with every Syngene system and comes with free upgrades for life. Unlimited copies offered with all G:BOX and GeneGnome systems. ⇒ genotyping. The software automatically compares thousands of bands on different gels. GeneDirectory is optional on all systems. ⇒ touch-screen buttons which guide users effortlessly through set-up and image capture. Each screen prompts researchers to select, for example, the type of gel or blot they are using and what it is stained with. ⇒ quality imaging. All systems are fully automated and application driven to enable the user to obtain quantitative results quickly and easily. GeneGnome XRQ is dedicated to chemiluminescence imaging. A simple set-up process means a single 'click' will automatically capture a quality image of any western blot. 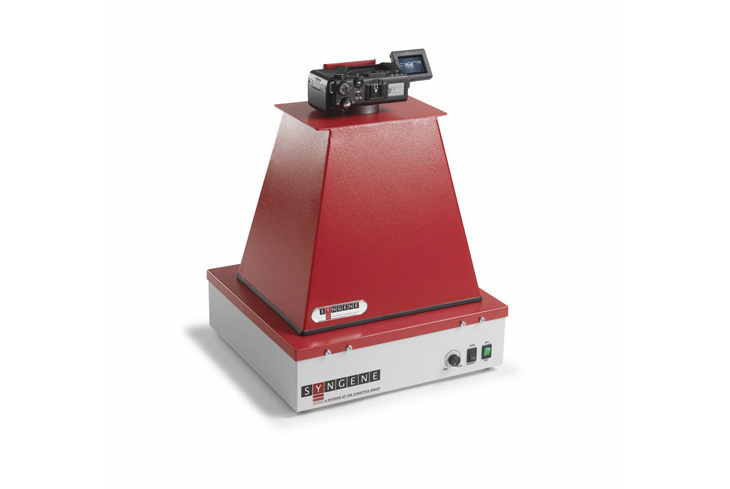 G:BOX Chemi XT4 with high resolution, cooled cameras and application controlled GeneSys software for fluorescence and chemiluminescence applications. G:BOX Chemi XX6 with high resolution, cooled cameras and application controlled GeneSys software for fluorescence and chemiluminescence applications. G:BOX Chemi XX9 with high resolution, cooled cameras and application controlled GeneSys software for fluorescence and chemiluminescence applications. 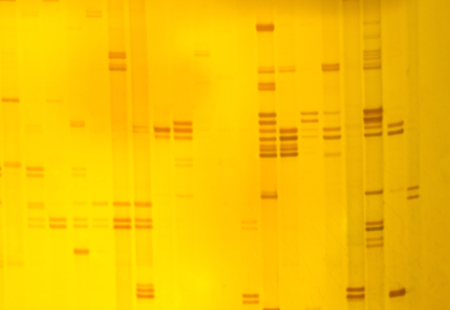 Syngene offers a variety of reagents and fluorescent dyes, providing the complete solution for the visualisation and detection of DNA/RNA or protein in gels and on membranes. ⇒ intensity to provide internal orientation. ⇒ camera when using long exposure time. However, with Syngene's advanced technology, even the most complex chemiluminescence imaging is possible. ⇒ for your rapid DNA/RNA imaging, as well as chemiluminescence imaging. ⇒ your fluorescence imaging demands. ⇒ specification systems and software for challenging 2D electrophoresis gel imaging. Using either a G:BOX Chemi XT4, G:BOX Chemi XX6 or a G:BOX Chemi XX9 they can be fitted with correct filters and lighting to provide separation of high spot densities, guaranteeing you unrivalled 2D gel imaging accuracy.